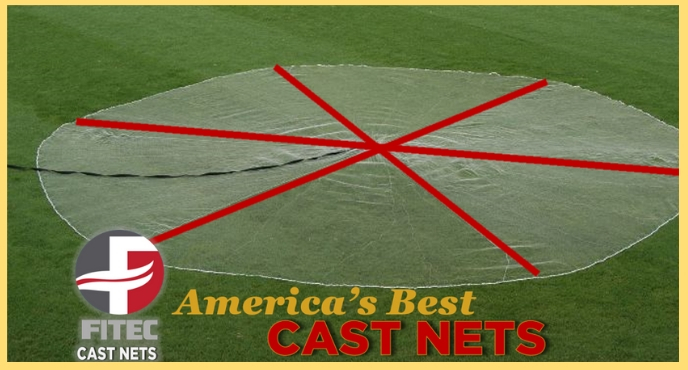 A cast net’s construction affects its ability to lie flat. The flatter a net lays, the more bait that gets trapped when the net is closed. Fitec offers two distinct construction designs throughout our cast net series. Fitec Super Spreader Cast Nets are made of a superior construction that bait will not escape! Dual combination lead-line of polyethylene and polypropylene creates a tighter bottom seal and traps more bait. High-strength and high-durability lead-line allows for non-kink performance. Fitec’s exclusive SPS™ MONOFILAMENT provides extra strength and durability. Fitec’s six-panel cast net design is made by sewing triangular net panels together. This causes the cast net to lie flatter on the bottom, sealing in the bait and allowing no escape. The panel net is available in the GS-1000, GS-1500, and SS Chain Net. 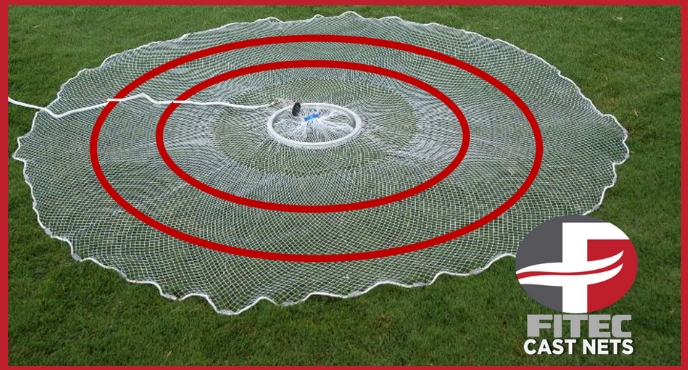 Fitec’s bullseye cast nets are made by sewing the net’s strips into concentric circles around the net’s horn. Each sewn circle is gathered at the seam to create an elliptical net. The bullseye net is available in the Ez-Throw Series, the RS Series, and the SS Series.